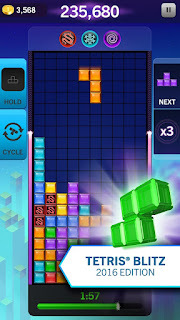 The Tetris® game you know and love, is now lightning fast, bite-sized fun for today’s players. It’s Tetris how you want it, where you want it. Play free and feel the frenzy. 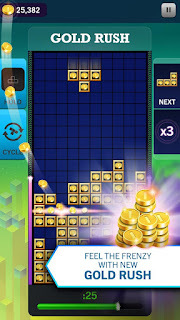 Race against the clock in a two-minute blitz to clear lines and rack up as many points as possible before time runs out! Step up your game and take part in head-to-head Battles or compete against other players in limited-time Tournaments. With all-new features, stunning visuals, and innovative controls, this twist on the world-famous puzzle game is a must-have. Aim for a personal high score and then celebrate and brag as you fly past your friends on the Facebook leaderboards. 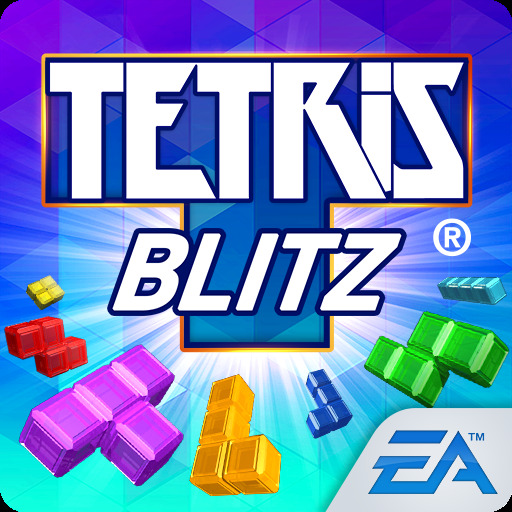 Match your skills against other players in head-to-head BLITZ Battles or race to victory in limited-time Tournaments and see if you can take home the win. 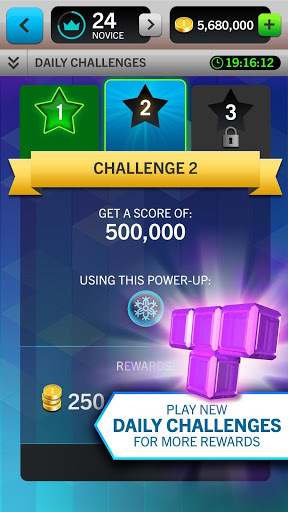 Supercharge your game and trigger point-boosting reactions with exciting Power-ups and Finishers like Frostbite, Crusher, Mino Rain, and more. Each Power-Up and Finisher has a unique action in the game that provides new ways to play, compete, and earn your highest score yet! All new controls like the innovative “Drag-and-Place” option let you tap and drag pieces with precision. 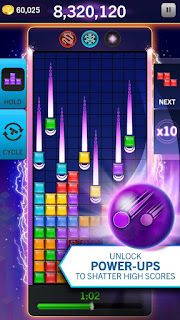 You can also choose the lightning fast “One-Touch” controls or “Swipe” placement if you prefer the original controls. EA may retire online features and services after 30-days notice per e-mail (if available) and posted on www.ea.com/de/1/service-updates.